4. This one from The Educator’s Room is a classic. 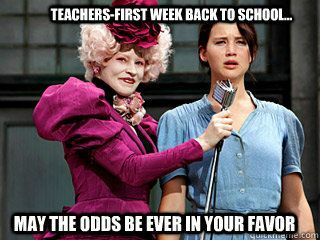 The expression on Jennifer Lawrence’s face just remarkably imitates a teacher’s expression on their first week (and sometimes month) back to school! 5. This one from Fun Fresh Ideas is hilarious. WHO IS ever ready for back to school? Really?? 6. 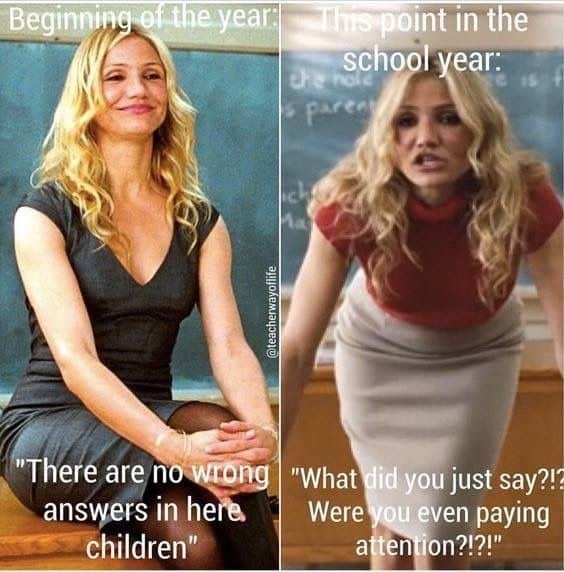 And of course, we can’t have a roundup of memes without including some from the ever so AWESOME Bored Teachers. Firstly, who doesn’t love Matt Damon in the Martian! Absolute favourite of mine! I just have to say I shall NEVER look at a potato the same way again – LOL. 8. We all LOVE PD of course – but do we really really need another one?? 😉 Had to include this one from the Pensive Sloth. 10. Our inner thoughts FOR REAL. 😉 This one is from Buzzfeed quoting from the always awesome show The Office. 12. Another one from Teach Outside the Box. Isn’t this just OUR worst nightmare? The laminator OR the printer. UGH! 14. This one from Class of Kinders is on point. What do you carry to school? I literally use my car as an office. #truestory. 15. Um, yes! This one is from We Are Teachers. 16. And of course, we always look for the silver lining. 😉 This is one is from Teachers with Humor. 17. Um, YES. We actually have SO many copier problems that we now joke about ‘how many teachers are in the queue to use the copier’. Of all the Back to School Quotes we’ve read, this one is the #StoryofOurLives. 18. This one from a user called Soaring_Sandy (no link) is sadly SO TRUE. Who else wouldn’t? A blink and before you know it – back to school. And it seems as though summer goes by in a FLASH! 20. This one from Teacher Way of Life is simply FUNNY and true! 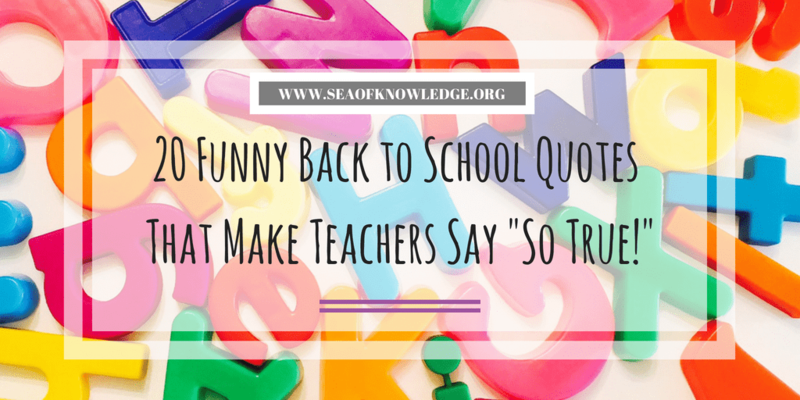 Out of all these Back to School Quotes, this one is one that can be used YEAR ROUND. Free back to school freebies, printables and ideas you can’t miss! Alphabet match, clip cards, behaviour incentives and over 20 free back to school printables! 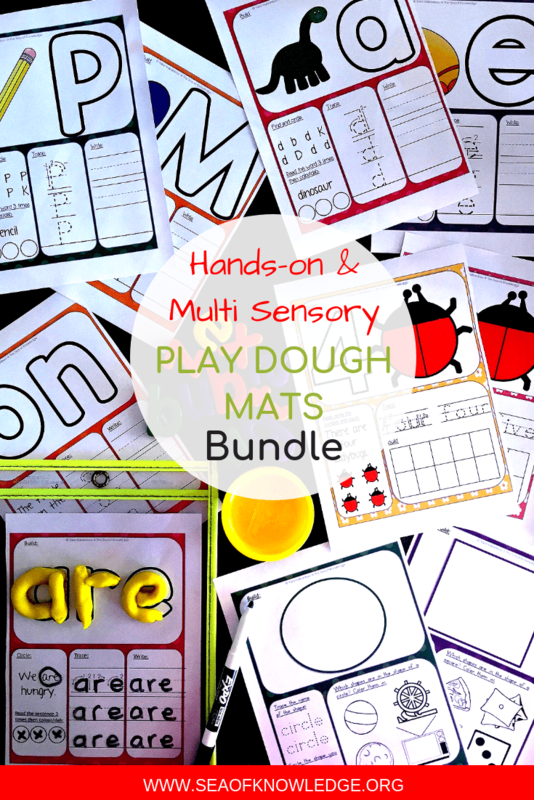 Over 30 FREE hands-on number sense activities and printables! 50 Back to School Back Packs Ideas for Boys and Girls! 8 Must See Children’s Apps for Language Learning.